Call of Duty: Advanced Warfare Review - This Is My Joystick! The Call of Duty franchise needs no introduction. Love it or hate it, it’s still a behemoth of the games industry regardless of its critics and dwindling year-on-year sales. Last year’s Ghosts was the first to really fall out of favour with many of its fans, and was the most poorly reviewed release to date. 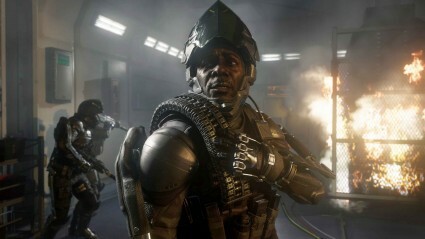 With a lack of innovation causing Call of Duty to stagnate, something needed to be done about it – and what better way than to put it in the hands of a newly-formed development studio and propel the series into the future? Even from the title, it’s quite obvious what Sledgehammer Games are trying to achieve. 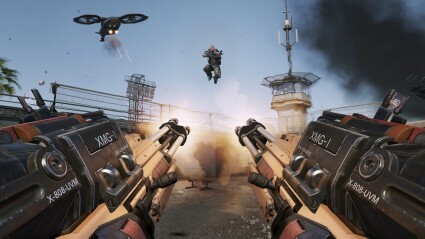 Call of Duty: Advanced Warfare - a less than subtle nod to the series’ fourth iteration, which launched its popularity into the stratosphere – is trying to recapture that lightning in a bottle, exploring a new frontier to firmly cement Call of Duty’s position on the new-gen consoles. As it turns out, Advanced Warfare is not the revolution it could have been. Yet despite playing it too safe, it’s still the most fun I’ve had on Call of Duty in a long time. 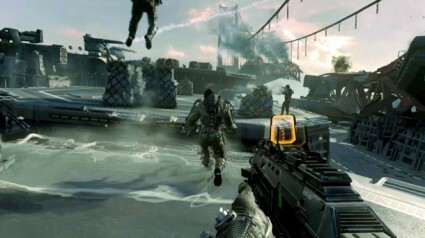 It’s no secret that Call of Duty’s bread and butter is its multiplayer mode. Many will never even step foot into the single-player campaign, although I’ve always given each one a fair shot. I’ve even thoroughly enjoyed a few of them. The last two, however, I did not. I found Black Ops II and Ghosts so derivative, bland and ridiculous that I literally could not force myself to finish them. Thankfully, although it failed to take my breath away like the first Modern Warfare did years ago, I can confidently say that this time round is one of the best of the bunch. Set several decades in the future, Advanced Warfare casts you as Private Mitchell, a soldier that’s ‘given a second chance’ by a gigantic PMC called the Atlas Corporation. Whilst fighting against North Korean militants in Seoul, you lose both your left arm, and your best friend and fellow soldier Will Irons. At Will’s funeral you meet his father, Kevin Space… err… Jonathan Irons, the CEO of Atlas. With their advanced technology, he offers to give you a mechanical arm and a job at Atlas. Be honest with me bro – I look the bee’s knees in this, right? Much has already been said about its comical attempts at conveying emotional scenes and, as it progresses, the plot becomes increasingly sillier and decreasingly effective at maintaining your suspension of disbelief. Yet Advanced Warfare does one thing right that Call of Duty has failed to do many, many times: it actually manages to be fully comprehensible. Gone are the poorly-explained storylines delivered in incoherent chunks as you flit between different characters from mission to mission. Here you’re grounded in one character throughout, and as such you can actually understand what’s going on. The futuristic setting lends itself to a whole host of new kit. Chief amongst these is the Exosuit, a wearable frame that gives you increased strength, boost jumping and other abilities like cloaking and sonic blasts. The problem with all of this new fun stuff is the stubbornness with which Advanced Warfare clings to the old Call of Duty linearity. Their painstakingly scripted design has always involved funneling you through tightly-controlled levels from set-piece to set-piece. This results in abilities being disabled in levels they’re deemed inappropriate for, and often you’ll bump your head on an invisible ceiling whilst you’re trying to explore a map with your boost jumping. It’s a playground, sure, but one with tall fences, soft rubber safety flooring and strict adult supervision. The same goes for numerous weaponry and gadgets that you’re handed, only to have snatched from your grasp a few minutes later. Drones, hoverbikes, giant robot suits, and a delightfully enjoyable grappling hook – you get to sink your teeth into these briefly once or twice, then never see them again. As ever, Call of Duty is your bossy wartime tour guide: “Follow me here! Shoot that guy! Look over there at that explosion! Nope, you didn’t do exactly what I told you to in that scenario; try again! For Pete’s sake, stop messing about exploring the level and lay that breach charge already!”. You’ll have never jumped around as much in a first-person game since trying to level up your acrobatics in Morrowind. Make your peace with these limitations, however, and you’ll have a damn good time in Advanced Warfare‘s campaign. There are loads of great moments, like an indulgently OTT chase scene on a motorway, and a top-security mansion infiltration aided by your grappling hook. The only part that feels completely phoned-in is an awkward ten-minute flying mission which appears with no real reason or explanation. Everything else is well-polished and engaging, with the new futuristic toys helping to freshen up the old formula. 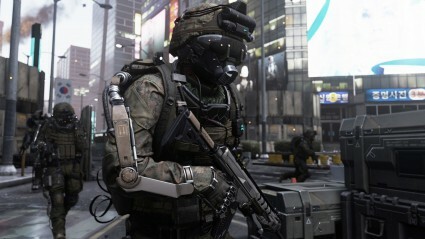 Multiplayer is nonetheless still the meat and potatoes of Advanced Warfare, and it too benefits from a much-needed sprucing up courtesy of the sci-fi setting. There are limited-use perks which grant invisibility, super-speed, extra health and the like, but the main transformation is in movement. Every soldier’s Exosuit bestows boost jumping and dodging, which does somewhat help to shove Call of Duty out of its samey rut. Traversing each map is now more exciting, and the extra motion lends fights a more energetic and unpredictable nature. In short, I don’t know if or how Call of Duty will ever be able to revert to more gravity-bound locomotion ever again. That said, the lack of wall-running and a comparatively slower and more restricted movement does leave it feeling slightly stilted when measured up against Titanfall. The armoury undergoes a moderate futuristic injection, including a laser rifle and dual-wielded set of machine guns that you can ‘lock down’ to essentially turn yourself into a stationary turret. Many of the other weapons are unfamiliar yet fairly conventional, although can be augmented with some snazzy enemy-detecting scopes and other high-tech attachments. It’s a well-rounded roster of kit on the whole, although there have been early issues of overpowered assault rifles that are being regularly tweaked and balanced. I’d argue that now everyone is jumping around like a maniac, it’s harder to hit them with sniper rifles and shotguns, so automatic weapons have the advantage. If spray ‘n’ pray is your thing, then the dual-wielded XMGs are a lot of silly fun. The maps of Advanced Warfare are fairly par for the course, with designs and structures that’ll make you feel right at home. Despite lacking slightly in character and style, they are well-constructed and have their moments, like the modernistic eco-park of Greenband, and the stylish Greek island buildings in Terrace. Many of them feel like they could have fit well enough in previous titles, and perhaps don’t exploit all of the opportunities of the Exosuit, but this is a minor quibble. As ever, there is plenty of content to keep you whiling away tens (or even hundreds) of hours in the multiplayer. A huge inventory of unlocks ensures a strong metagame, of which you can utilise in countless combinations in a system similar to ‘Pick 10’ of Black Ops II. If the popular Team Deathmatch isn’t your bag, then there’s bound to be something in the impressive list of game modes that is – this is a strength that Call of Duty has always held over competitors. Lots of old favourites return, along with newcomers ‘Momentum’, a gradual struggle for territory; and ‘Uplink’, where you’re tasked with capturing a drone and delivering it to the enemy base. Look at this man. That is one hell of a good-looking man. Call of Duty: Advanced Warfare does just enough to reinvigorate an infamously over-done franchise. The campaign wouldn’t justify a purchase on its own but is a definite improvement over past offerings and, with a rock-solid multiplayer, the overall package easily redeems the disappointment of Ghosts. Yet even though new abilities and player movement give the old formula a nice lick of paint, I wish Sledgehammer could have taken things a bit further. Call of Duty revolutionised the modern-day first-person shooter, but the truth of the matter is that in a futuristic context, Crysis does super-powered suits better, and Titanfall’s verticality and dual-sided combat are still unmatched. On its own merits, however, Advanced Warfare is still an excellent Call of Duty game. 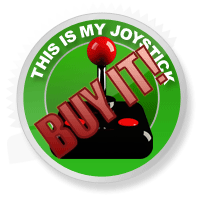 Whereas it won’t change the minds of any detractors, long-time fans will be delighted with what it has to offer. I’m just crossing my fingers that Advanced Warfare 2 takes it to the next level.